Target audience: Nonprofits, cause organizations, foundations, NGOs, social enterprises, businesses, educators, Web publishers — anyone with a Twitter account. If you use Twitter, you’ve probably noticed that your Twitter profile now has a space for a header image. Twitter header images have much more visibility than Twitter background images simply because they’re viewable on mobile devices. So they’re like Facebook cover photos, but for Twitter. 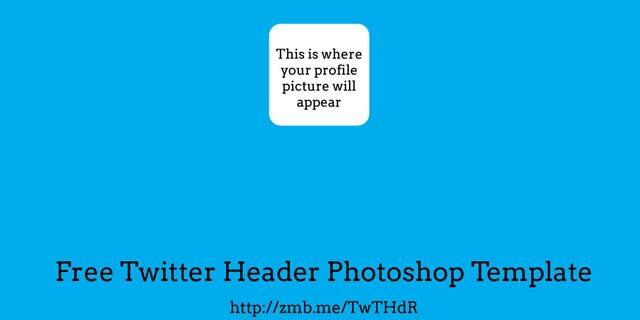 Check out some of these creative and useful ideas for your Twitter header. Go to Settings (on iOS mobile devices go to your profile, and then select the gear icon, then “Edit profile”). Scroll down to the Header section and select “Change header” (on iOS mobile devices select “Header”). Upload image from your computer or iOS device. The recommended image size is 1200 X 600 pixels. 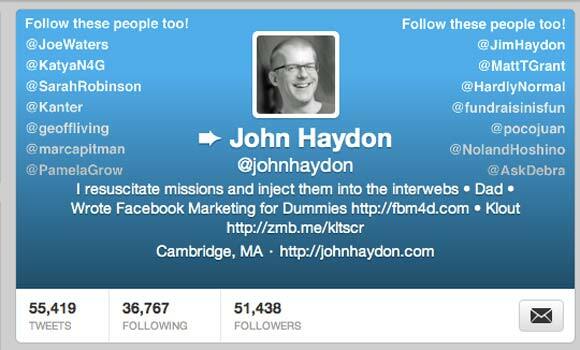 Here’s a free Photoshop template for your Twitter header image that shows you where your profile pic will appear.John Haydon delivers social web strategy solutions for “the quick, the smart, and the slightly manic.” Curious? Then connect up: Contact John by email, see his profile page, visit the John Haydon blog, follow him on Twitter and Google Plus or leave a comment. An even better website is http://freetwitterheaders.net — they have hundreds of cover images….